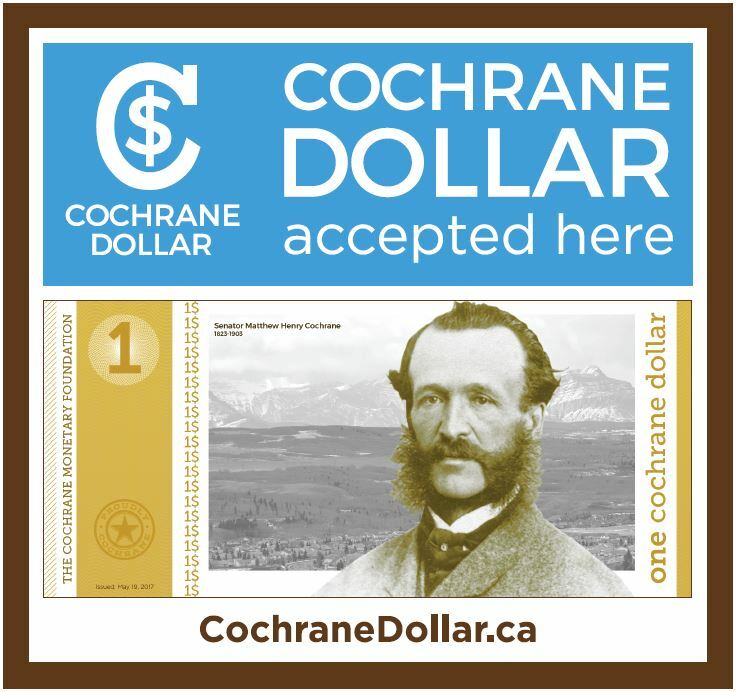 The Cochrane Dollar is a local paper currency that inspires local shopping, stimulates the local economy, and supports local businesses and jobs by encouraging spending in our community. Cochrane Dollars cost nothing to use and are a fun and easy way to work together to keep our local economy thriving. Any local business can participate, just by signing up (sign up here)! The list of participating businesses grows regularly, so keep checking the directory. The Cochrane Dollar initiative is a partnership between Town of Cochrane Economic Development, ATB Financial (Cochrane branch) and the Cochrane Monetary Foundation (a non-profit group of local small business people). Cochrane Dollars feature industry-standard security features and can be used at participating stores in Cochrane, as well as Town of Cochrane offices for some payments. Use, spend, collect, circulate Cochrane Dollars!